Home > Stories > Travel > 6 questions about cruise ship accident claims answered. For accidents and illnesses suffered on cruise ship holidays, the rules for claiming compensation are slightly different to other holidays abroad. But that doesn’t mean you can’t claim – thanks to an EU law called the Athens Convention* – your rights are still protected. Your solicitor should be able to advise you on the best way to proceed if you’ve suffered an accident, injury or illness on a cruise ship. By answering a few common questions, we’ve put together some of the info you’ll need to start your cruise ship accident claim. 1. What cruise ship accidents can I claim for? So many people on such a big boat means a large number of things that can potentially cause an accident or illness on a cruise ship. In order to decide whether you could have a claim and how to proceed, seek legal advice from an experienced holiday illness and accident professional. 2. What if I didn’t book the cruise as a package holiday? Thanks to the aforementioned Athens Convention, your rights should be protected regardless of the way you booked. Basically, if there is any fault or neglect on the part of the cruise ship operators, you should certainly be entitled to compensation. 3. How long do I have to claim for an accident on a cruise ship holiday? Even if you didn’t report your accident or illness at the time, you can still pursue a claim for a significant amount of time after the event. But it’s always best to make a claim while the details of the circumstances are still fresh in your mind. The time limit for claims covered by the Athens convention is two years from the date of the incident. 4. What proof of booking do I need to show? If you can provide hard copy or digital confirmation of your booking, it should help your cruise ship accident claim. But even if you don’t have any of this evidence, the cruise ship’s own insurers should still have a record of you being on board. And if possible, it’s always sensible to ask staff to complete an entry in the ship’s accident book and take a copy for yourself. 5. Can I claim for food poisoning on a cruise ship? Salmonella, food poisoning or any other illness caused by eating contaminated, incorrectly stored or poorly prepared produce can often result in compensation. But if you’re suffering because of something you’ve eaten while ashore, the fault won’t lie with the ship – even your symptoms start when you’re back on board. As you’d expect, it can be tough to prove what’s caused an illness – a specialist solicitor will ask the right questions to gain an accurate assessment. 6. If a shop or restaurant on a ship is run by a separate company can I still claim? 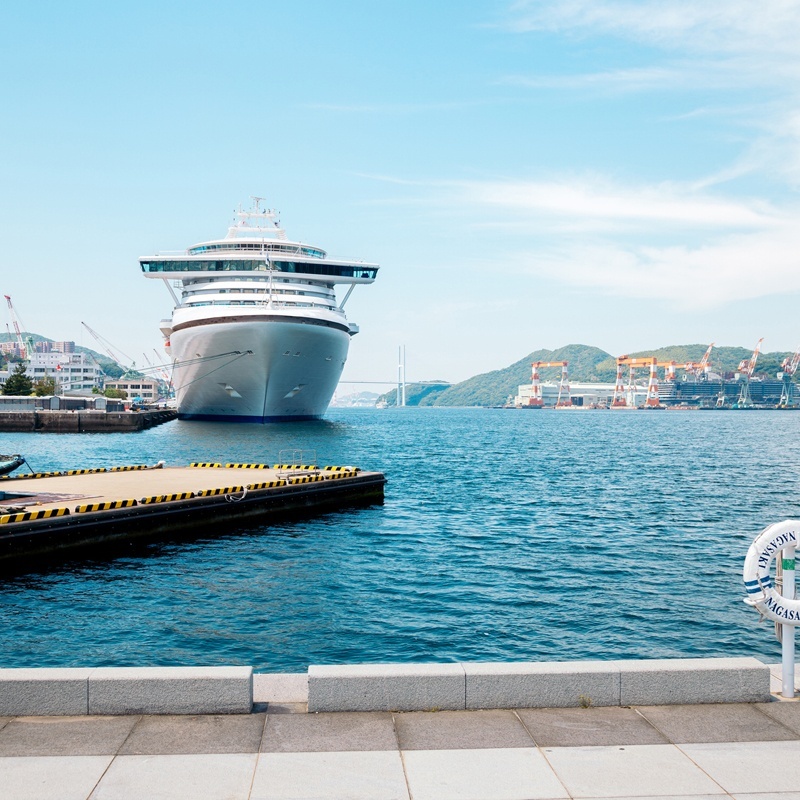 It’s advisable to pursue a claim because in all likelihood – regardless of who the operator of the specific premises may be – the cruise ship could still be at fault. ‘Cruises are different in some ways to normal holiday compensation claims, in terms of the number of factors that need to be considered. ‘You have familiar names in terms of travel agents, like TUI and Thomas Cook but there are also dedicated cruise providers like P&O. ‘Regardless of who you book with, the same duty-of-care applies and operators should do everything to ensure passengers have a safe holiday. ‘But if a claim does need to made, there are several factors to take into account, which is what can sometimes make the process seem complicated. ‘Things like departure and destination ports, where the cruise company is based and where the ship is registered all must be factored in. To discuss your cruise ship accident compensation claim options with a member of our specialist holiday accident team, please call us on 0161 358 0800. *The Athens Convention applies to EU member states – with Britain set to leave, Aequitas will monitor and share any developments as required when possible. Any potential changes to your legal rights, status or your cruise ship accident claim resulting from Brexit will be highlighted in future online content.